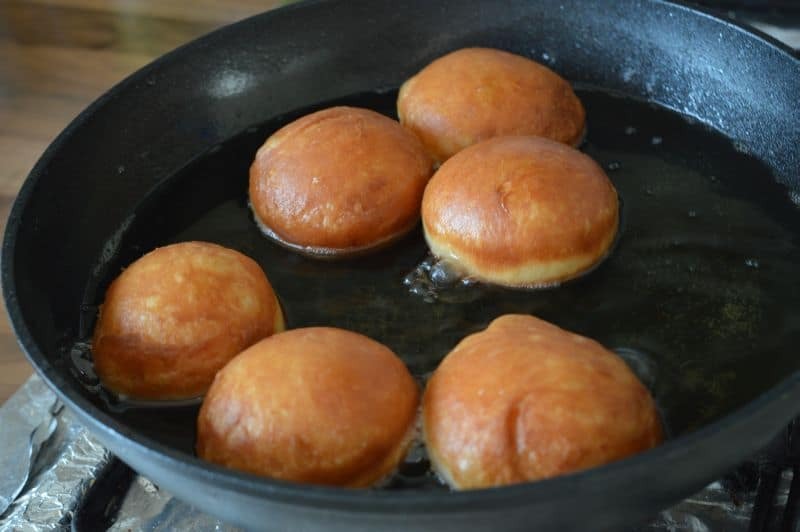 A doughnut or donut is a type of fried dough confection or dessert food. 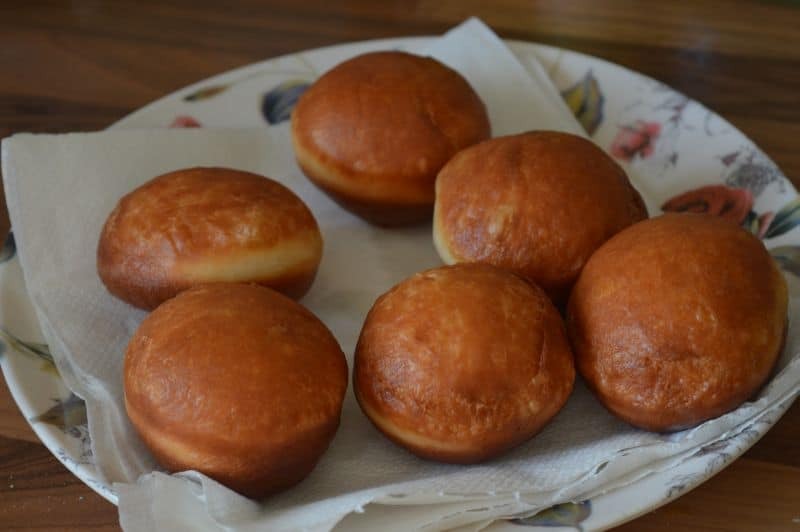 The doughnut is popular in many countries and prepared in various forms as a sweet snack. You can make it plain or with different styles of fillings. 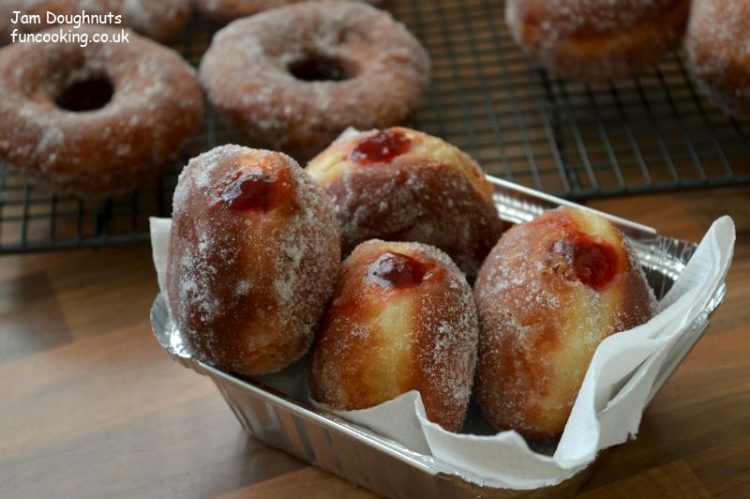 This is simple jam doughnut recipe with strawberry jam, you could use any jam you like in it. In a small jug beat egg. Not to much, just to break the yolk. 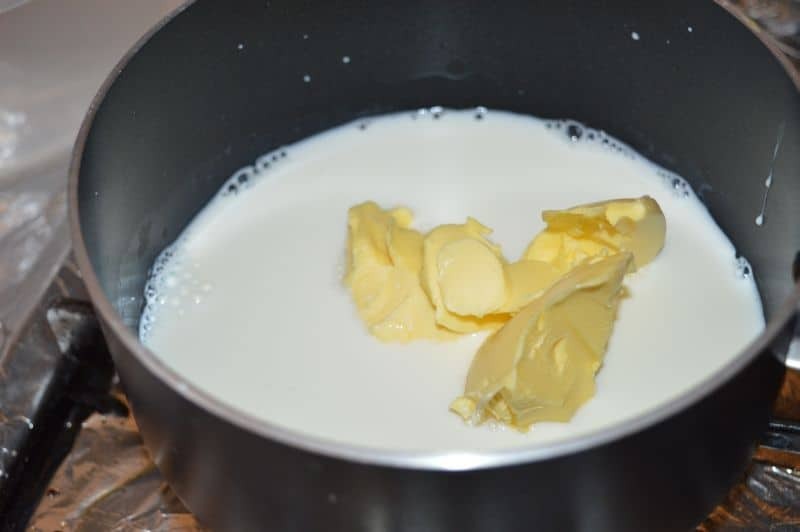 Now mix melted butter and milk mixture into egg. 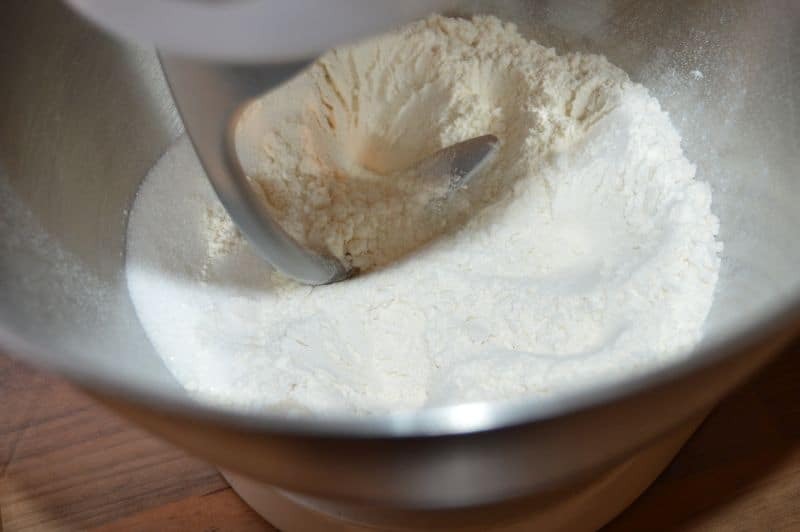 In a bowl of stand mixer add in strong white flour, 40 g caster sugar, yeast, salt. 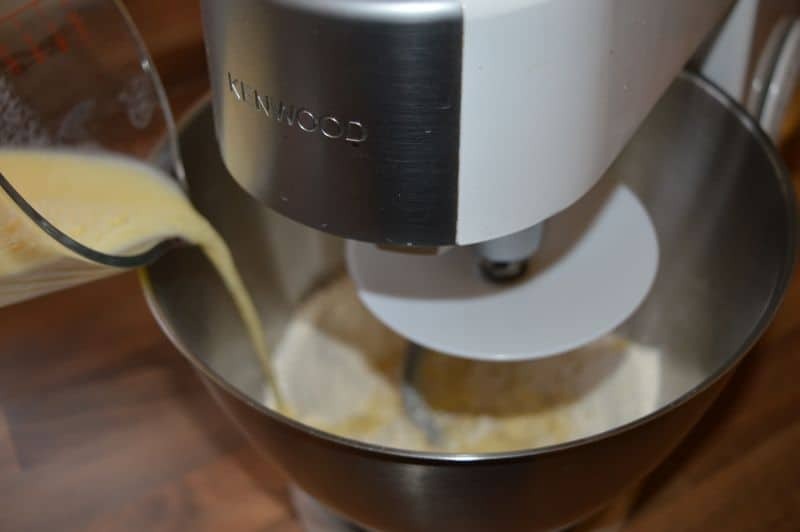 Run the mixer few seconds. 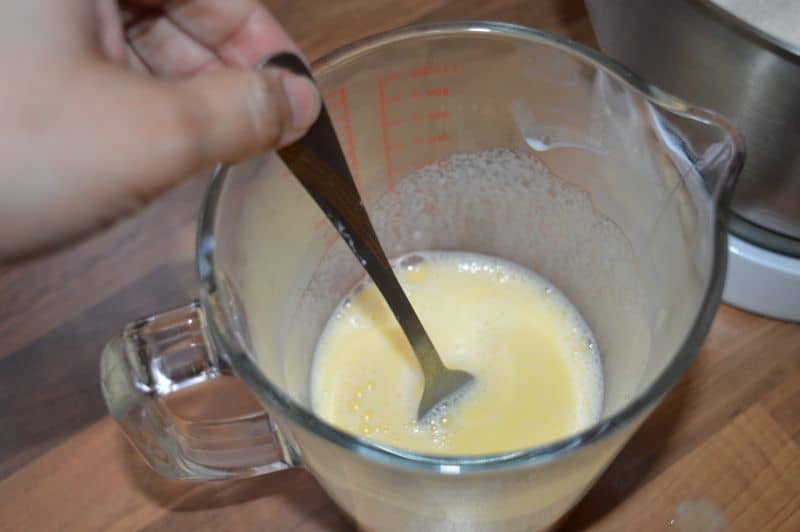 Now while the mixer running on slow speed add in milk/egg mixer on warm temperature. 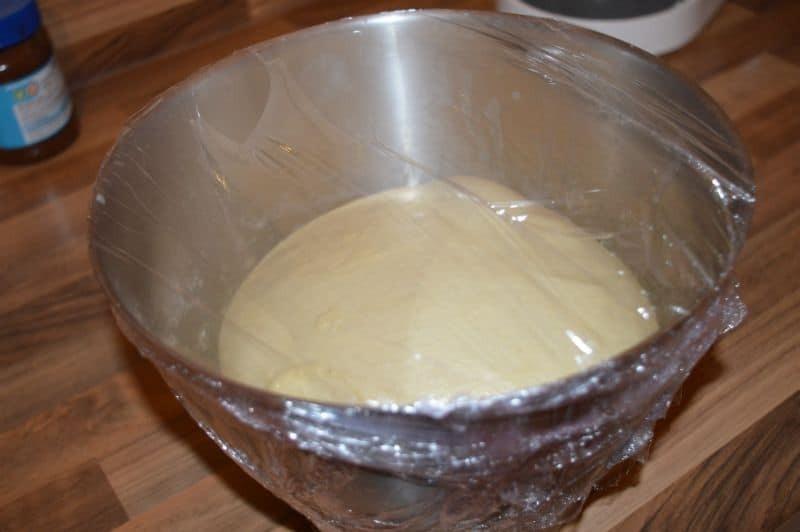 Add this until you see the dough forms in bowl. Knead the dough on speed 2 to 2.5 for 8-10 minutes. 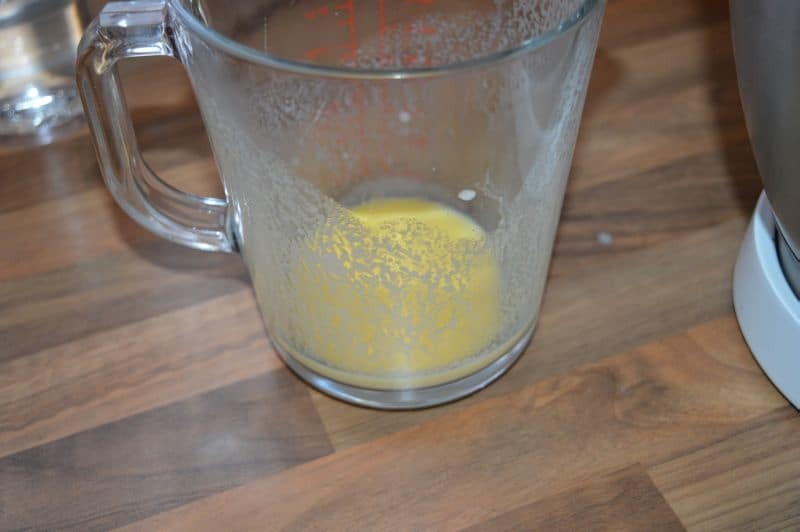 You can see this liquid left in the jug. 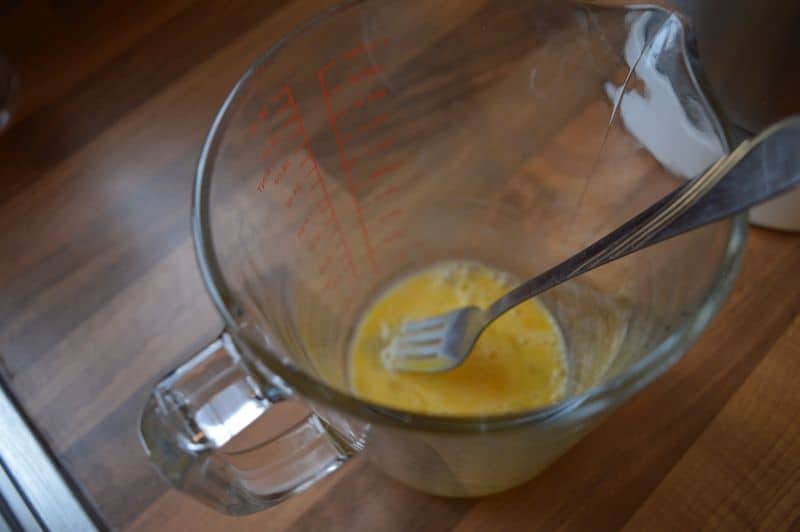 Yes you may not use all the liquid mixture in it. So be careful while adding it. Add it little by little. 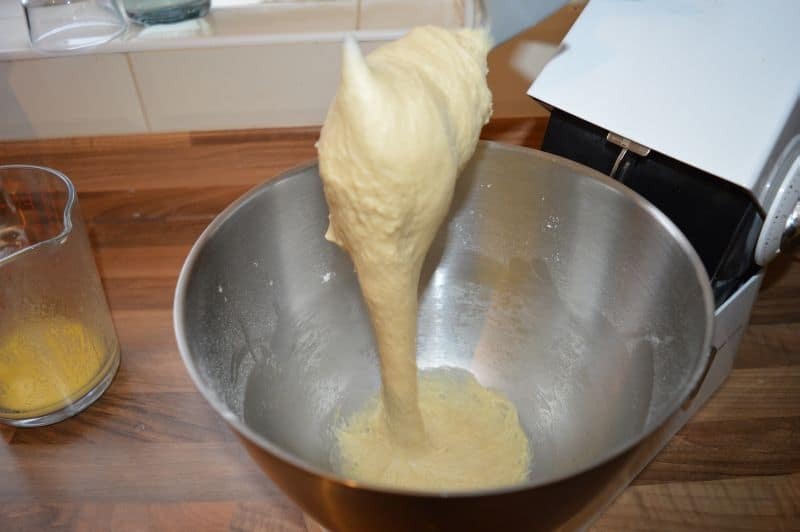 You can see after kneading 10 minutes, dough is very soft. We want it exactly like this. 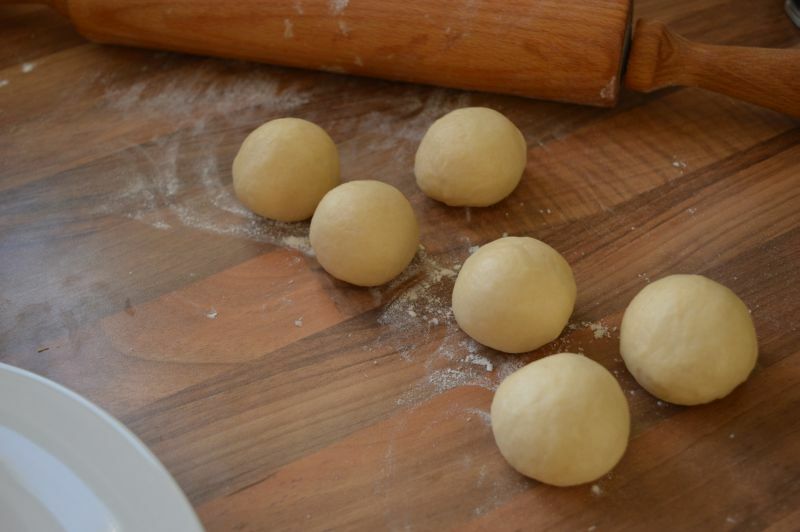 Apply some oil on your hands and take out the dough in a bowl. 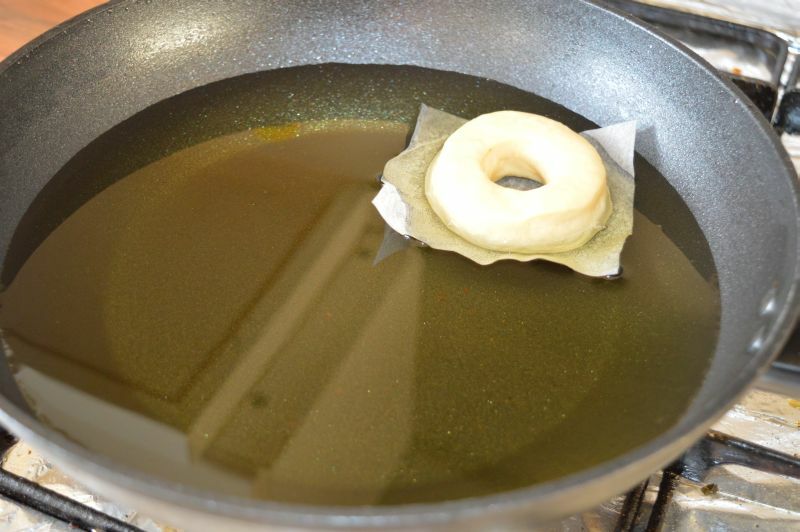 Grease the bowl with oil, keep the dough in it.Tightly cover the bowl with cling film and let the dough rise until double in size for 2-3 hours. Or leave it overnight in fridge. 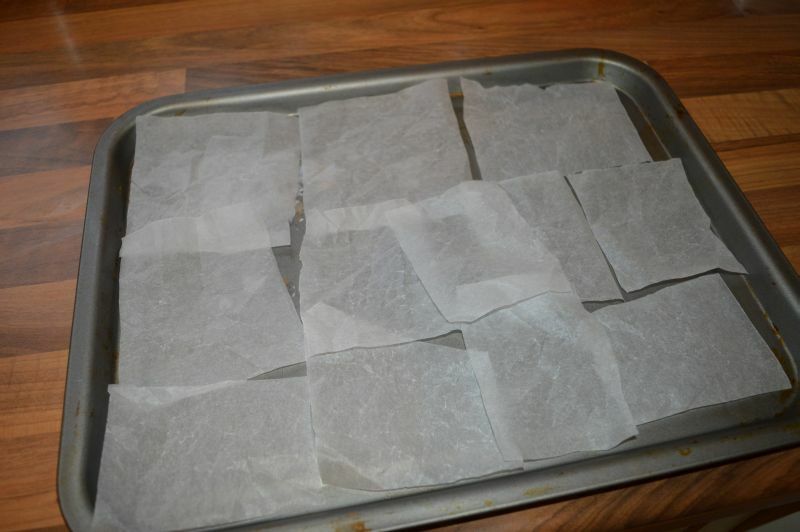 On a tray place small squares of parchment paper like shown in picture. 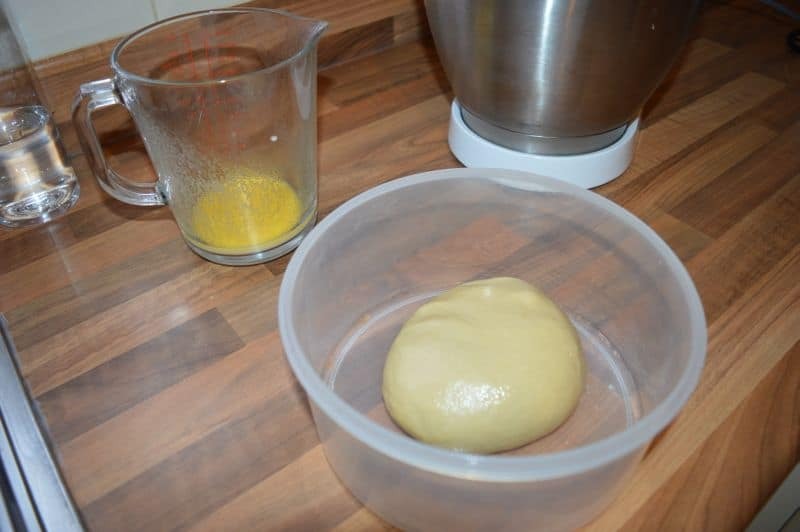 Divide the dough into 12-13 parts. Roll them round with your hands. Press these balls with your hands into small discs and place on parchment paper squares. I made half of them plain ones and half jam ones. 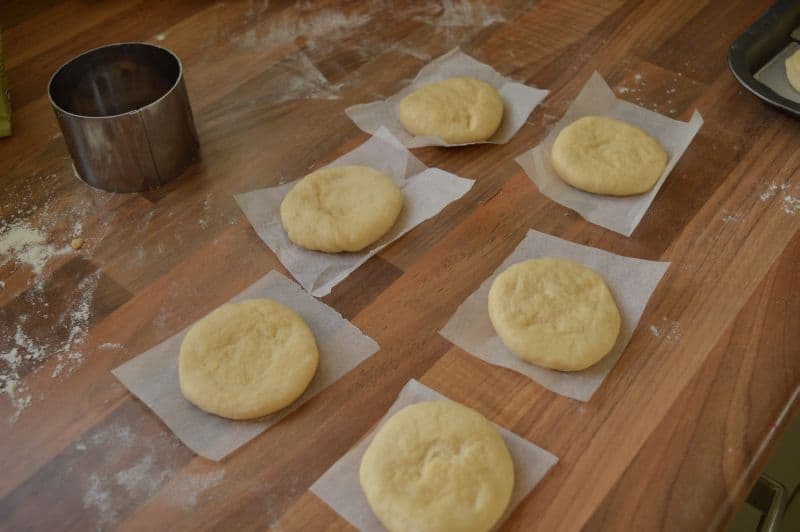 You can roll the dough with rolling pin and cut in these shapes. 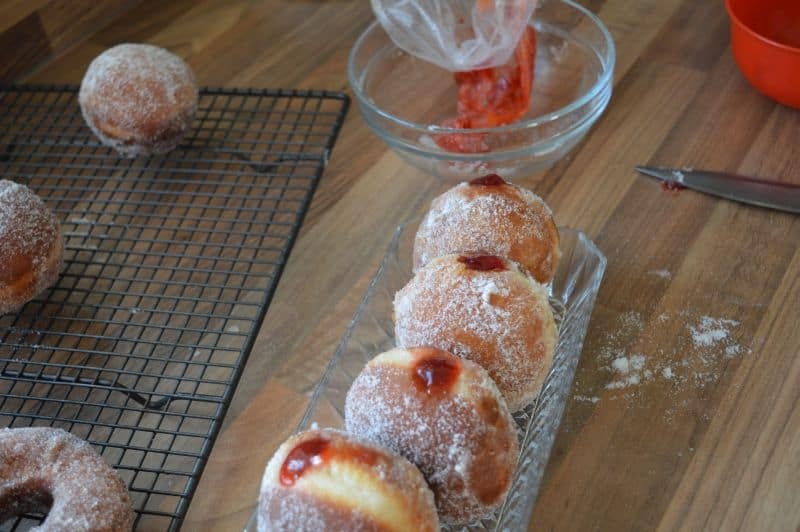 Now cover them lightly with cling film. 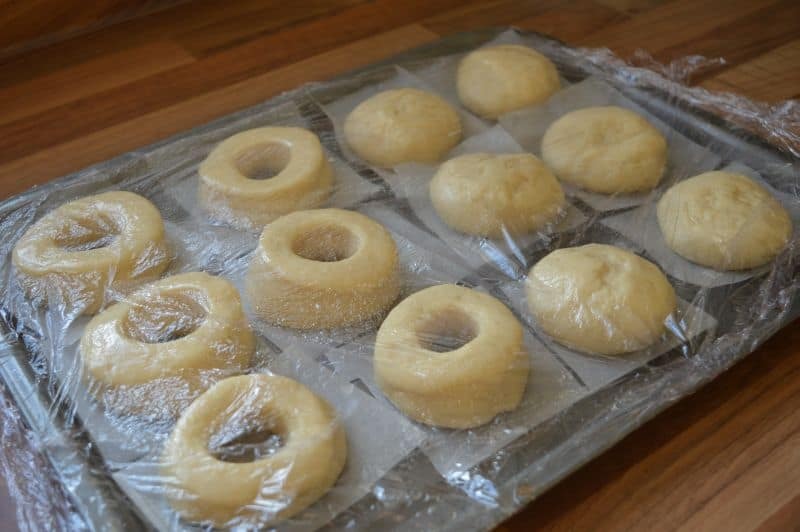 Apply some oil on clingfilm so your doughnuts would not stick to that. Let them rise again until double in size for about half hour to 1 hour. Heat oil on medium heat, not too hot. 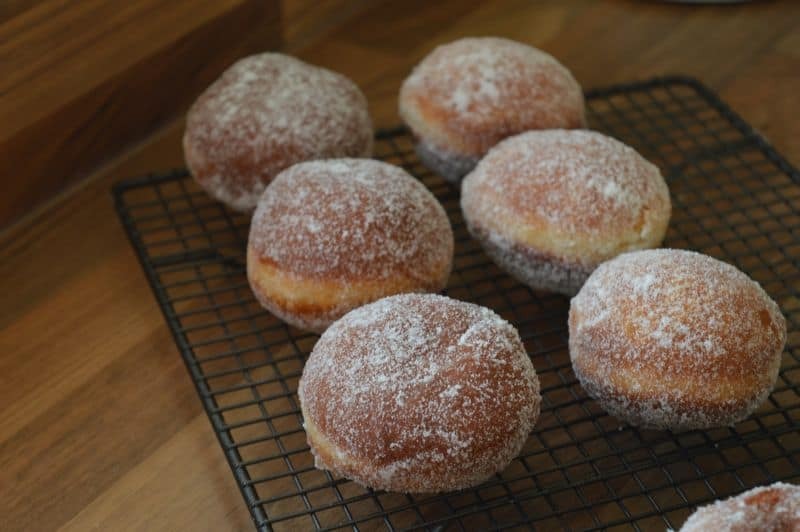 Put your doughnut with the parchment in it. 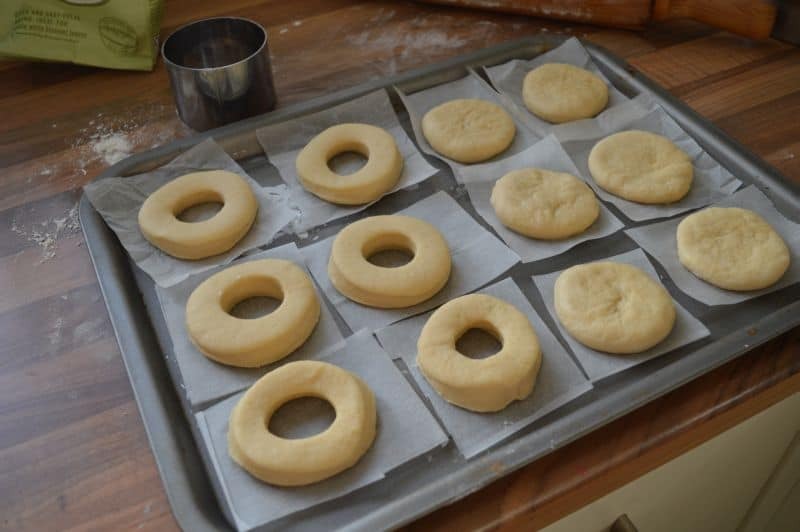 Take off the parchment ,this way doughnuts will not loose their shapes. Fry for 6-10 minutes on medium heat until golden brown and double in size. 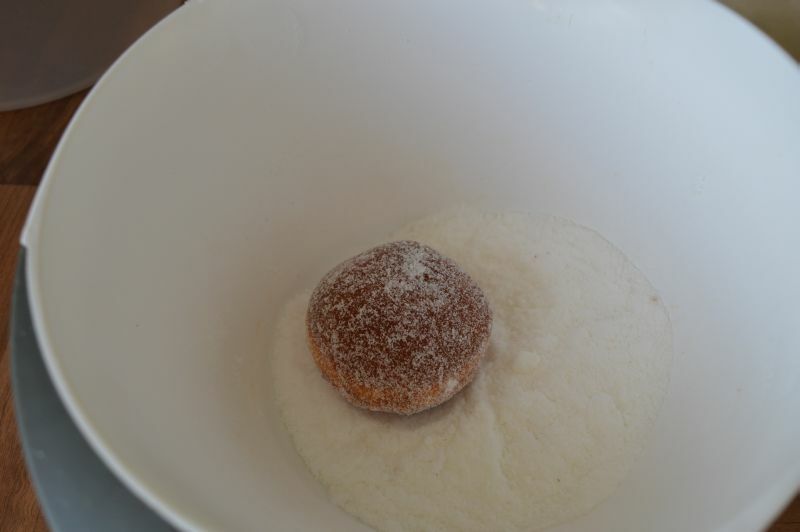 Roll doughnuts in caster sugar. 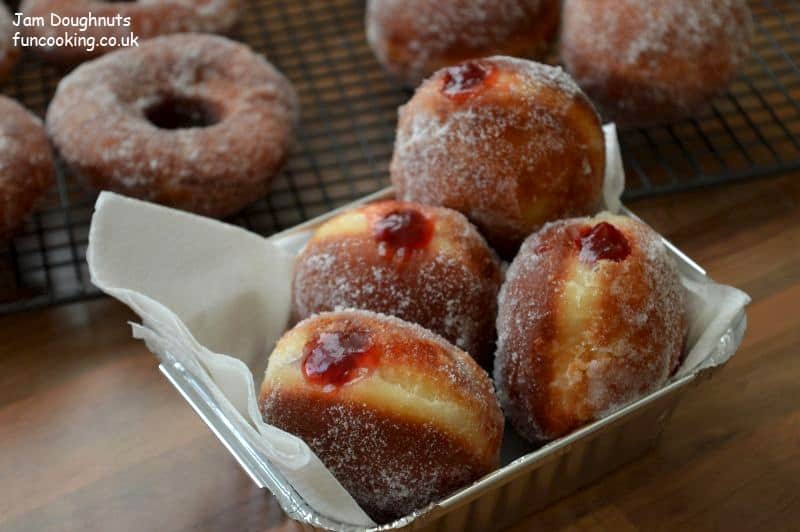 Jam Doughnuts rolled in sugar. Fill jam in pipping bag. Use a knife to make a small cut through the side and wiggle it around to make a hole in the centre. 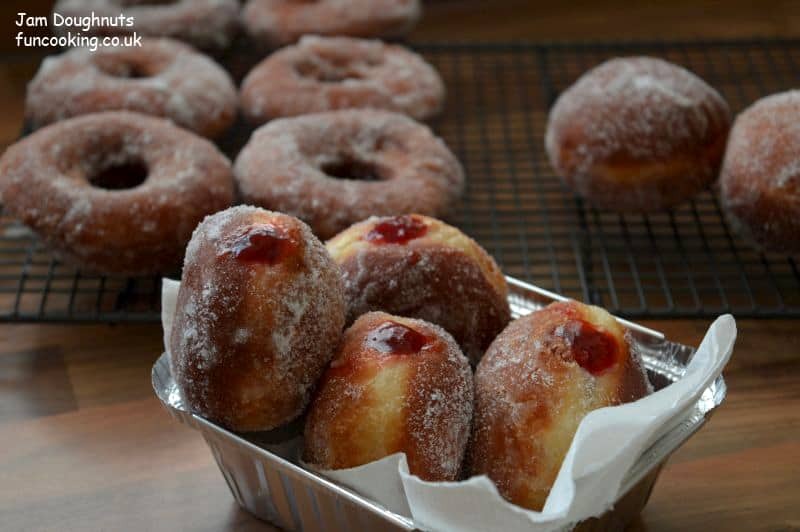 Fill in jam in doughnuts,be careful not to over fill them then keep them facing jam side upwards.